Happy Monday Morning! 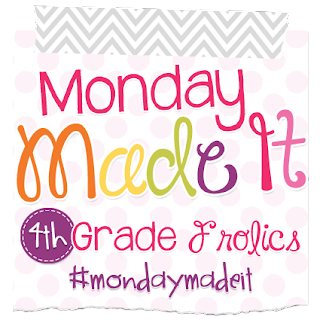 I'm linking with Fourth Grade Frolics to share some stuff I've made for the blog. Thanks, Tara, for the Monday Made It each week. I put it together at Widdly Tinks. There are all sorts of figures big and small to choose from, even pets. I chose to create my classroom... well, sort of. I have way more kids than a dozen, but twelve is the maximum number of figures. The little pic serves absolutely no purpose other that to give anyone who scrolls down that far a little surprise. Click the image above or below and you can go to the site and see. Pure fun. Another little gadget is the Feedjit Live Traffic Feed. You'll find it on the far lower right side of my page and it looks like this. Like you, I'd seen it on blogs before... not too many, but some. I love to read them when I see them. It kind of reminds me that the World Wide Web is just that... WORLD wide. My family insists that I'm delusional and the "people" are not really people, but rather robots who trawl the net. Don't think they're catching any fish on my blog! But you know what, delusional or not, I don't care. SOME of those views ARE from REAL people. It makes me want to shout out, "Hi Queensland! Hi Copenhagen! Hi Ann Arbor and Texas!" I wish I could reach in and give a little wave to them. So if you're reading now, consider yourself greeted with a warm smile. Give a hi back in the comments and let me know you are real... and help me prove my family wrong– HA. And if you're a blogger, I suggest you give Feedjit a try. It was really easy to add to the blog. Last but not least, I have to point out a special new post and link on the side bar. For a couple weeks now I've been working on a post about linky parties. Not too surprisingly I get a lot more viewers, not only when I post, as mentioned above, but when I link the post to other great bloggers. I enjoy discovering blogs by reading from the links and have made lots of cyber teacher friends that way. I needed a fast, handy linky reference... and then I thought that I'm not the only one who'd like to know about those linkys. 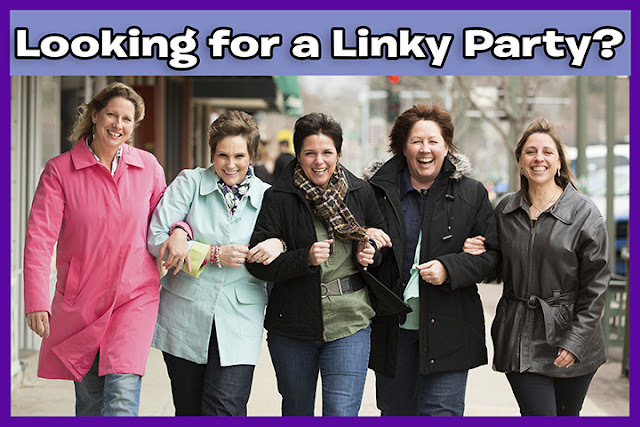 I bet lots of bloggers would like to stay abreast of the linky parties so they can join in. So the Linky List page was born. I'm bet someone has already posted a list of linky parties somewhere, but for the life of me I couldn't find it. The need for one was even mentioned on a Periscope broadcast the day I finally hit 'publish' so I hope people can find this one. I made it easy to find– just click the button, which is the picture of the friends with linked arms walking down the street over on my right side bar. I want to keep it current, so if you know of any linkys– ones you start, ones you join, or ones you read– just let me know and I'll add them. Okay, there's my three Made-Its for today. I'm working on some posts about start of year activities and routines next. Gonna post them soon, so keep your eyes open. These routines work best if started at the beginning of the year, so I hope you get them in time... I don't need to tell anyone that summer is not endless. Click on back to the link up and find more blogger creations of all kinds. So happy you stopped by! Are you aware that there's a Blog Connection section on the TpT seller's forum? It's for "Collaborative blogs and guest posts, linky parties and blog hops, great blog posts to share" Worth checking out! Hello from Texas! I enjoy reading your blog and your creative, positive, helpful ideas for my classroom! I'm real, a big hello from the state of Colorado. I have spent lots of spring breaks as a child in your state of Michigan, in Kalamazoo where my mom was from. Love your site. I'm real. (: A big hello from the state of Colorado. I have spent a lot of spring breaks as a child in your state of Michigan. Kalamazoo where my mom was from. Love your site. Hello! I thought I had posted yesterday. I am also a REAL PERSON! I I really like your WiddlyTinks family but it wouldn't work on my blog. Any ideas? p.s. You have to click save in the box that appears AND then "Save Arrangement" on the layout page, too. Two saves.